Mtukudzi's legacy widely lauded - SABC News - Breaking news, special reports, world, business, sport coverage of all South African current events. Africa's news leader. 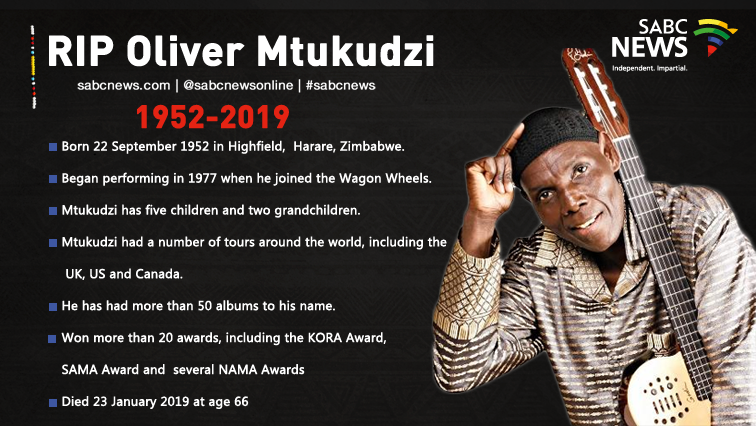 Musician Oliver Mtukudzi died on Wednesday. 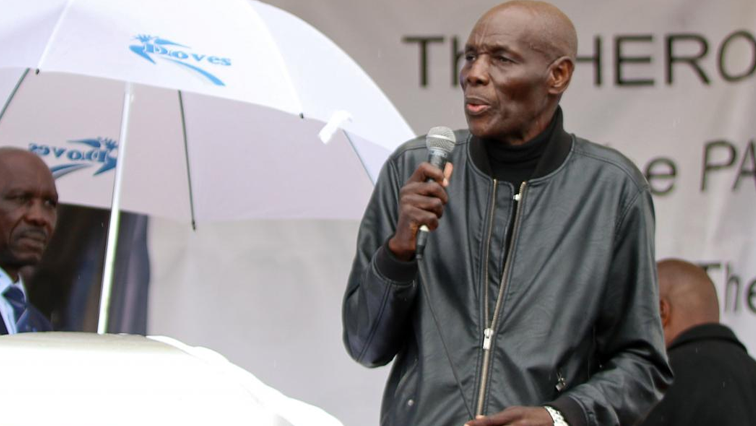 Minister of Arts and Culture Nathi Mthethwa has expressed his condolences on the passing of legendary Zimbabwean jazz musician Oliver Mtukudzi. He died earlier on Wednesday at the age of 66. On Twitter, Mthethwa said the world lost a giant whose music gave hope during the darkest of times. Musicians on the continent have paid tribute to the late Mtukudzi. The Human Rights activist is alleged to have suffered for long from illness. Mtukudzi was a Unicef goodwill ambassador for the Southern African Region. Tuku, as he was affectionately known, rose to fame when he joined “Wagon Wheels”- a band that went gold with their first single in 1977. He was multilingual. He sang in the Shona language, incorporated it with Ndebele and English. Albert Nyathi, one of the musicians who worked closely with Mtukudzi has paid tribute to him. Young, fellow musicians whom Mtukuzi mentored including Macdonald Chidavaenzi and Tatendia Mahachi, say they have lost a role model. He had a number of tours around the world, performing for large crowds in the United Kingdom, the United States, Canada and Lesotho. Musicians Tshepo Tshola and Budaza Mapefana have paid their tributes. Mtukudzi’s incredible career includes more than 60 studio albums. His consistency has earned him more than 20 Music awards. Mtukudzi was meant to perform at the Joy Jazz Festival in Cape Town in March. This entry was posted on 23 Jan 2019,09:25PM at 9:25 PM and is filed under Lifestyle, Homepage Featured Story Slider. You can follow any responses to this entry through the RSS 2.0 feed. Both comments and pings are currently closed.